Every year we love to see Dance Magazine's coveted list of the dancers, choreographers and companies that are on the verge of skyrocketing in the field of dance. This year's picks are nothing short of exceptional. Congratulations to these 25 up-and-coming artists! At 11, while watching a performance of New York City Ballet's Nutcracker, Tiler Peck leaned over to her father and said, "Dad, I'm going to dance on that stage one day." It was a surprising declaration for a competition kid from Bakersfield, California. But her prediction came true: Peck joined New York City Ballet as an apprentice four years later. "It was the challenge that drove me," she says. "I always had natural ability to dance, but when it came to the School of American Ballet, I felt like a jazz dancer trying to do ballet. But I was going to get this. I was going to be a ballerina." Her mastery of timing and crisp lines quickly took her from being a 15-year-old apprentice to a 20-year-old principal. Now, nine years later, she's dazzling audiences at Lincoln Center night after night. Should Aspiring Ballet Dancers "Run in the Other Direction"? "Every time I see a little girl in a tutu or with her hair in a bun on her way to ballet class, all I can think is that she should run in the other direction," she said, "because no one will protect her, like no one protected me." It was quite a statement, and it got us thinking. Of course, it's heartbreaking to imagine the experiences that Waterbury lists in the lawsuit, and it's easy to see why this would be her reaction. But should aspiring ballet dancers really "run in the other direction"? Were her alleged experiences isolated incidences perpetuated by a tiny percentage of just one company—or are they indicative of major problems in today's ballet culture within and beyond NYCB's walls? 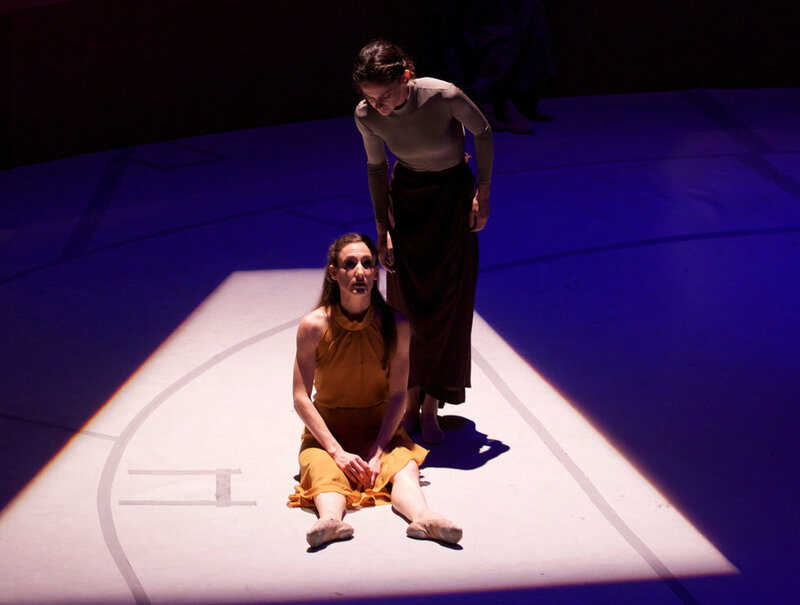 Once Adriana Pierce caught the choreography bug as a teenager, dancemaking came naturally. More difficult was navigating the tricky situations that would arise when choreographing on classmates and friends. "If a rehearsal didn't go well, I'd worry that people didn't respect me or didn't like my work," says Pierce, who went on to participate in the School of American Ballet's Student Choreography Workshop twice, at 17 and 18. "I had a lot to learn: how not to take things personally, how to express what I wanted, when to push and when to back off." Choreographing on your peers can feel intimidating. How can you be a leader in your own rehearsals when you're dancing at the same level the rest of the time? How can you critique your cast without hurting feelings? Avoiding pitfalls takes commitment and care, but the payoff is worth it. Setting an agenda for each rehearsal shows your dancers that you respect their time. In return, they may be more likely to respect your leadership. "With peers, you can't walk into the room and say, 'I'm the teacher; you're the student,' " says Pierce, who can currently be seen in the Broadway revival of Carousel. "Authority has to be earned." Preparation can also ease nerves about your new role. 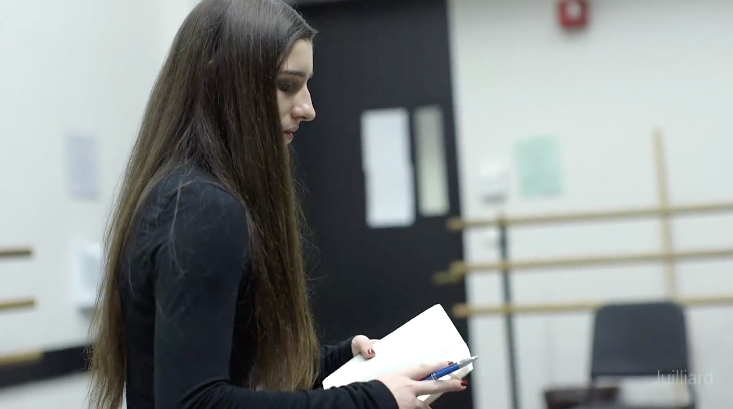 When Maddie Hanson, a dance major at The Juilliard School, began choreographing on her classmates as a freshman, "I always came into rehearsals with a movement phrase and goals for the day," she says. Now a junior, Hanson has become more confident creating on the fly. Still, she strives to be organized, and to bring something new, like a particular image, to each session. But preparing doesn't mean being inflexible in rehearsals. Elizabeth George, who teaches composition at the University of Arizona, explains, "You never want to be so rigid that if something spontaneous happens, you're not willing to explore it." A collaborative environment can keep everyone invested in the process. Last semester, George and her co-teacher Sam Watson asked their composition students what helped them most when choreographing on classmates. The top response: communication. "Dancers want information about what they're doing," Watson says, "whether they're working with a guest artist or a fellow student." Communication should be a two-way street, Pierce adds. If a transition looks awkward, ask what would make it feel better. If your dancers seem exhausted, see if they have the energy for another full-out run. To avoid hurting friends' feelings, frame criticism to be both positive and constructive. Rather than saying "That's not right" or "I don't like that," try acknowledging what a dancer is doing before asking to see it another way. "Then, you're offering options instead of barking orders," Pierce says. When it comes to behavior issues, you may need to put your foot down. Pierce advises approaching the dancer the same way you would if you were having a non–dance-related issue. "Make it a conversation, not a confrontation," she says. "It can help to find out where they're coming from. Everyone is a human with emotions and a life outside the studio." Casting from a group of peers can feel fraught. What if your best friend isn't a good fit—or a strong enough performer—for what you have in mind? Hanson advises putting your vision first. "The people who support you will understand that you have to do what's right for your choreography," she says. If the dancers you want aren't available, be open to what others have to offer. "I've worked with dancers I initially didn't see myself using," Pierce says. "They've always brought something surprising to the table." Stand by what you're looking for, but be ready to find the best in every dancer. Even if you're new to running rehearsals, you already know what works for you when you're dancing for someone else. Call on those experiences when you're in charge. Remember that you aren't the only one who wants the process to be productive and fulfilling. Your dancers—your classmates and colleagues—are on your side. "If you're considerate of your cast's needs and confident in your own abilities," Hanson says, "you'll have a better piece in the end."